Gravity Forms only allows you to display prices in one currency. This could be impacting your sales, as it leaves your international visitors on their own to figure out how much they’ll actually be paying in their own currency. They have to leave your site to get this information, increasing the possibility of them abandoning the purchase process completely. This add-on brings multi-currency support to Gravity Forms, allowing you to display prices in a different currency for each form. So you can have one form in GBP, another in EUR, and so on. For more than a few currencies, creating a new form for each currency is tedious…and unnecessary. 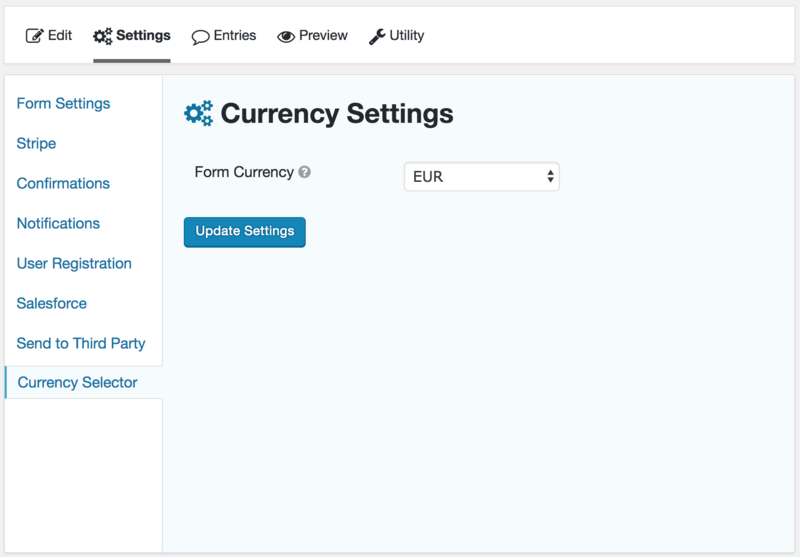 Instead, create one form and use the Gravity Forms currency field to allow your visitors to choose their currency. 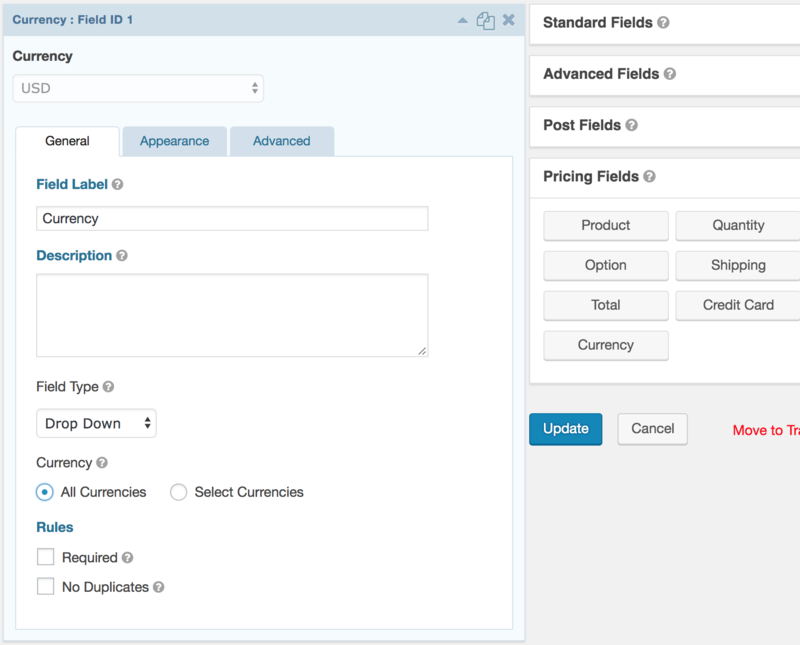 The currency field will display a list all of the currencies you choose to accept. And your visitors won’t need to go searching for conversion rates. This plugin plus Open Exchange Rates will automatically convert the prices on your form into the currency the visitor chooses. In real-time. © 2017 gravity+. All Rights Reserved. Trademarks and brands are the property of their respective owners.